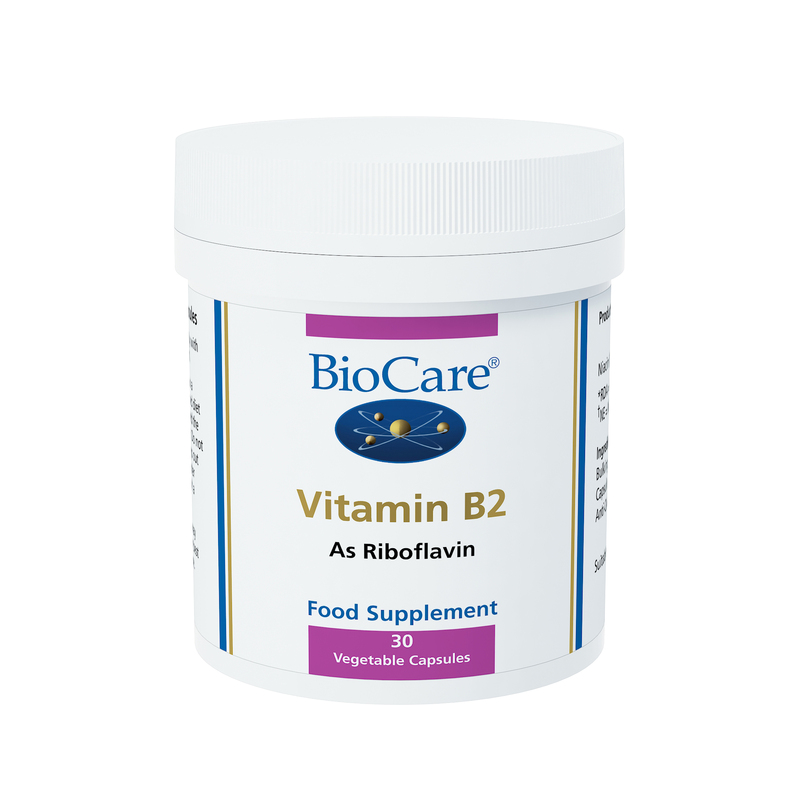 BioCare Vitamin B2 (Riboflavin) health supplement is needed for the release of energy from food & is important for growth & development. Vitamin B2 (Riboflavin) is needed for many body functions including the release of energy from food, maintaining the health of the mucus membranes, the nervous system and is important for growth and development. 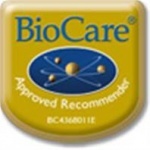 BioCare's Vitamin B2 provides 50mg. Bulking Agent (Cellulose), Capsule (Hydroxypropyl methylcellulose & Water), Riboflavin, Anti-caking Agent (Vegetable Magnesium Stearate).